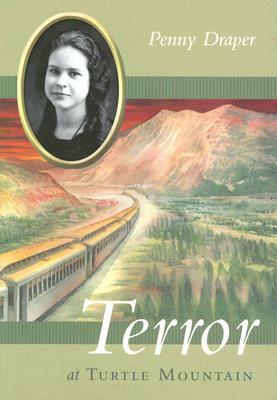 At 4:00 a.m., April 29, 1903, Nathalie lies awake in the booming coal town of Frank, at the base of Turtle Mountain, listening for the whistle of a train--the Spokane Flyer, bringing her American cousin Helena for a visit. Instead, Nathalie hears rocks tumbling down the mountain onto the town and the railway track. She and her mother are safe, but what about others? As she helps search for survivors, desperate questions fill her mind. How many have died? Will the men inside the mine be safe? Will the train be stopped in time? That morning, the northeast face of Turtle Mountain dropped one hundred million tons of limestone on the town. Seventy-six people died, but twenty-three were rescued from under the rocks, seventeen escaped from the mine, and the Flyer was stopped in time. This is a beautifully written novel, with engaging characters and authentic historical detail. It's a story of discovery, as Nathalie--Nattie to her friends--finds her own strengths and skills and the courage to use them.